Elizabeth Lauten, the Republican congressional aide who faced a backlash after sharply criticizing the first daughters, has resigned. Over the weekend, a Facebook post written by Lauten surfaced after the White House’s annual turkey pardoning ceremony in which the aide criticizes the daughters. 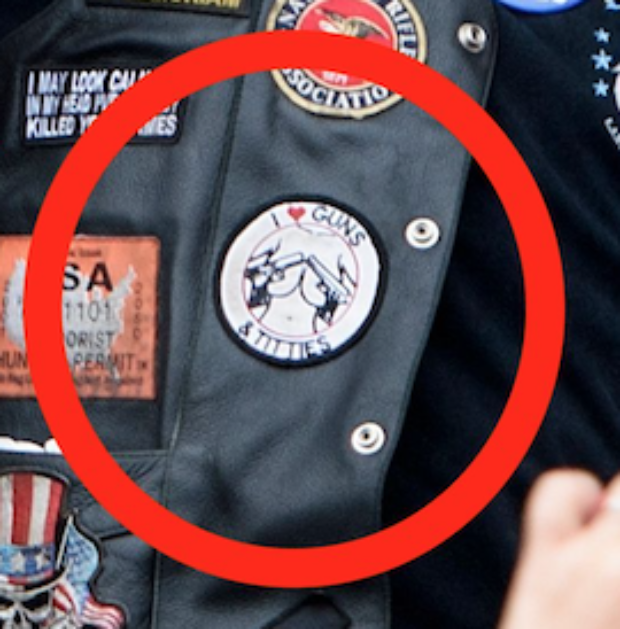 The dress code for President Trump’s by-invitation meet-and-greet with motorcycle enthusiasts here on Saturday was biker chic — leather, bandannas and for at least one of the supporters who posed with Trump at the raucous event, sexist and other offensive patches. 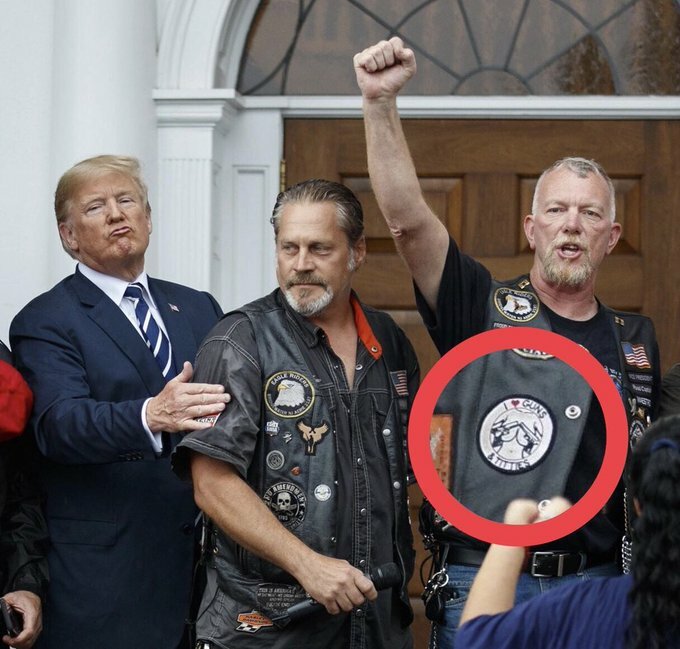 A bearded man who is part of a New Jersey “Bikers for Trump” group stood with the president as he shook hands inside his posh golf club near here, and again when the group posed for photos outside, engines revving. The kandy kolored klown and his party are a bunch of unrepentant low lifes, and when the midterm elections come they can’t be kicked out of office fast enough. Democrats need to take over Congress and run investigations through every committee to fully expose the komplicity, korruption and kollusion that is in the marrow of every member of the GOP. This entry was posted in Fascism, GOP, Liars, Stupid people by brobrubel. Bookmark the permalink.